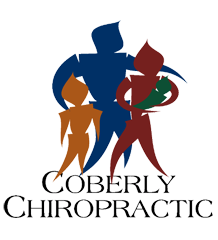 How Chiropractic Helps Children That Suffer From Knock Knee – Coberly Chiropractic, Inc. Knock knee is a condition that many children acquire when they are toddlers. Often, within a few years they grow out of it and their legs straighten naturally with no lasting effects. Occasionally, though, a child’s legs don’t straighten and this is a cause for concern. There are many problems that can stem from knock knees, some of which will follow the child into adulthood and for the rest of his or her life. While there are several recognized treatments for knock knee, including surgery, chiropractic care has an excellent track record in managing and remedying this disorder. Knock knee, or genu valgum, is a condition that causes a person’s knees to bow in toward each other. In other words, when they stand with their knees touching and feet flat, parallel to each other, facing forward, their ankles do not touch. There may be a few inches between them or a foot, depending on its severity. Most children go through a stage at around 3 or 4 years where they are knock kneed but by around age 8 or 10 they grow out of it and their legs straighten. Many parents become concerned when they first see their child becoming knock kneed. This is why it is vital that they understand a child’s normal growth patterns. It helps them worry less about something completely normal as well as know when to seek help if the condition does not right itself. What Health Problems can be Caused by Knock Knee? Knock knee can cause pain and inflammation in the knees, ankles, and feet, as well as the hip and back. The pain can make mobility difficult. This is exacerbated if the patient is overweight because the added pressure on the joints as they are set at an unnatural position that does not adequately support the body can result in injuries to the bone, ligaments, and tendons. A difference in leg length, a common issue with knock knee, can also cause the body to become misaligned, leading to back and hip pain. Over the long term and in severe cases, knock knee can lead to arthritis in adults and children. How is Knock Knee Treated? Treatment for knock knee depends on the cause and age of the child. 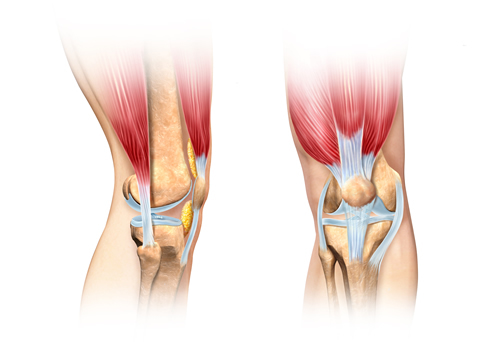 If the child is young and it has been determined that the knock knee is just a normal part of their growth pattern, very little action is taken although some experts advise laying a good foundation for the child by teaching them the importance of a healthy diet, regular exercise, and good posture. Cases that are caused by some underlying factor, or that extend beyond the age that the child’s legs are expected to straighten, may require bracing. If there is an underlying cause such as infection or injury, that will need to be addressed in order to correct or manage the problem. In severe (and rare) cases, surgery may be necessary. Is Chiropractic Care an Effective Treatment for Knock Knee? Chiropractic care is an exceptional treatment for children of all ages who have knock knee. For younger patients who are experiencing it as a normal stage of development, it will help to keep their spine aligned and encourage good, healthy posture. In children who have an underlying cause, it can help to relieve any pain while increasing mobility as well as bringing the spine into proper alignment. Many of the factors that cause knock knee can be addressed through chiropractic treatment and it has the added benefit of providing a whole-body wellness approach that teaches proper diet, exercise, and lifestyle changes. This noninvasive, gently, natural treatment can give children their best chance at being free from this condition.